Dr. Hronek attended medical school at the University of Iowa, Carver College of Medicine. He completed his internal medicine residency at the University of Iowa Hospital and Clinics in Iowa City, IA. He then completed his allergy/immunology fellowship at the Washington University School of Medicine in St. Louis, MO. He is board certified in Internal Medicine and Allergy/Clinical Immunology. After completing fellowship training, Dr. Hronek joined Ferrell Duncan Clinic and his family moved to Springfield. He is married with two children. Dr. Hronek enjoys being outdoors, hiking, and playing with his two girls and his dog. Dr. Hronek staffs our Branson, MO satellite clinic on Wednesdays. Dr. Le began her medical education at the University of Missouri, Columbia, Missouri. She continued her medical training by completing her residency in Pediatrics at the Children’s Mercy Hospital, Kansas City, Missouri. She spent four years working as a pediatrician in the Air Force before completing her fellowship in Clinical Allergy/Immunology at the University of Kansas Medical Center, Kansas City, Kansas. She has been board certified in pediatrics and is board certified in Allergy/Clinical Immunology. After completing fellowship training, Dr. Le moved back to Springfield, MO, where she is from orginally, and joined Ferrell-Duncan Clinic. Dr. Le is married and has two children. She enjoys music, singing, and spending time with her family. 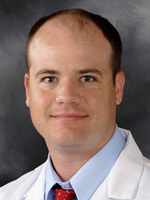 After completing undergraduate college at Saint Louis University with a degree in Biology, Dr. Micka obtained his MD at St. Louis University School of Medicine in 2003. He then completed 3 years of residency training in Internal Medicine at Barnes Hospital / Washington University School of Medicine. He worked as a hospitalist for one year at Barnes Hospital before beginning a two year fellowship in Allergy and Immunology at Washington University School of Medicine in 2007. He completed his fellowship training in June of 2009. He is board certified in Internal Medicine and Allergy/Clinical Immunology. After completing fellowship training, Dr. Micka joined Ferrell-Duncan Clinic and moved with his family from Saint Louis to Nixa, Missouri. He is married and has two children. In his free time he enjoys playing with his kids, hiking, fishing, camping and sailing. He also enjoys photography. Michelle attended Pittsburg State University in Pittsburg, Kansas, graduating with her Masters of Science in Nursing as a Family Nurse Practitioner in 1997. She worked in rural family practice for over 10 years, where she developed a passion for educating and taking care of patients with asthma. Prior to joining the Ferrell-Duncan Allergy Department in 2015, she worked for five years at CoxHealth’s Pediatric Pulmonology clinic, caring for children with asthma and other lung conditions. She is board certified as a nurse practitioner and is also a certified asthma educator. A native of Springfield, she and her husband have four children and stay busy with kids’ activities and outdoor activities. Michelle also enjoys photography, researching her family genealogy, and taking on home improvement projects.